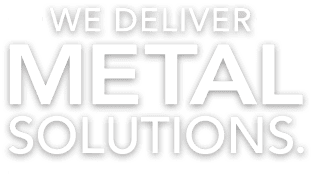 At DMP, we provide a superior level of knowledge and professionalism to our precision sheet metal fabrication services. Our trained staff works closely with each customer to understand their needs and requirements in order to achieve the desired results. We focus on manufacturing support along with outstanding customer service, consistent quality and on-time delivery. Our services encompass automated and computer controlled technology including laser cutting, turret press punching and brake press forming and bending equipment. Our experts have experience with many types of metal including stainless and carbon steel, aluminum and alloys. An advantage of laser cutting includes is the transforming a flat sheet of metal into clean, precise parts with different characteristics without extra tooling. 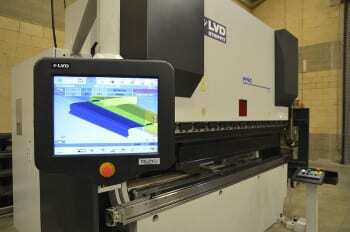 Precision laser cut parts achieve greater quality consistency due to the ability to hold tight tolerances. 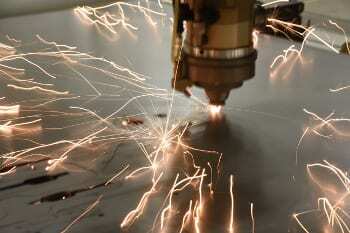 Laser cutting is a fast, repeatable and highly accurate process providing burr-free cuts and more efficient production. Turret punching of sheet metal is performed by moving the metal to accurately position the sheet under the punch. The punch then comes down with enough force to cut the metal stock. By using a combination of single hits and overlapping sequences, complex metal component shapes can be produced. Our machines incorporate improvements in press drive technology, tooling and CAD/CAM software which are critical to achieving close tolerances and high repeatability while increasing versatility. We provide turret punching of small detailed parts as well as heavy gauge large fabrications. Our extensive tooling inventory allows us to keep tooling costs to a minimum. Brake presses simplify the process of bending and forming sheet metal by exerting a force on a set of dies by hydraulic or electric means. Our brake presses, with capacities ranging from 60 to 175 tons along with an extensive tooling inventory, allow us to perform multiple bends in a single handling resulting in quality production at lower costs. 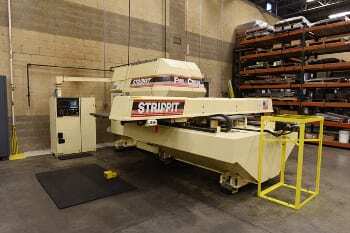 Our various machines provide high speed movement and accurate ram repeatability. Windows based controls provide for transfer of tool set up data, bend sequences and 3D simulation between control and network server. © DUNKIRK METAL PRODUCTS, All Rights Reserved.